What an irony! 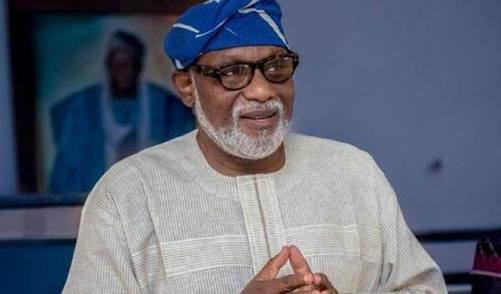 Governor Rotimi Akeredolu who was busy fighting imposition in his attempt to become Governor in Ondo State in 2016 is now the Resident-Imposition-in-Chief in the state. There was no unprintable names he did not call Tinubu either directly or through his minions then. Today, Dr Tunji Abayomi, a veteran aspirant, who wrote a stinker to Tinubu in 2016, is about to become the beneficiary of the same thing he campaigned against as Akeredolu is bent on imposing him as the senatorial candidate of the APC in Ondo North. When is Dr Abayomi, who claims to be fighting for the masses, going to write an open letter to Akeredolu accusing him of imposition? Learnt he has imposed Chief Lucky Ayedatiwa on Ondo South APC but has refrained from confronting Senator Tayo Alasoadura in the Central. When will those Aketi's apologists who protested against imposition in 2016 hit the streets again to protest what Akeredolu is doing in the state? When imposition favours you, you go mute. When it is against your interest, you kick. When you do what you accuse others of doing, you ain't different from them.